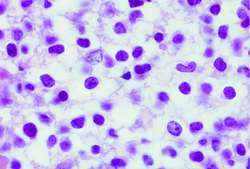 leukemia in which abnormal (or leukemic) cells are absent in the peripheral blood. 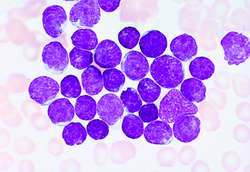 a type of leukemia in which the total leukocyte count remains within normal limits or is low and few abnormal forms appear in the peripheral blood. Diagnosis requires bone marrow biopsy. It occurs in 30% of all patients with leukemia, regardless of the specific type. Also called aleukocythemic leukemia, subleukemic leukemia. 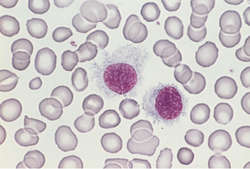 A variant of acute leukemia where the peripheral blood reveals pancytopenia and few discernible blast cells on peripheral blood smears; leukemic cells are seen only by a BM Bx. See Leukemia. 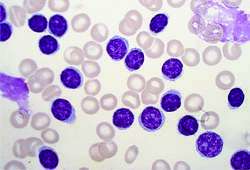 Disorder in which abnormal (or leukemic) cells are absent in the peripheral blood.